Happy Thursday beauties!! Today I am so excited to share with you my initial review of Krs Hair Group’s newest texture Knappy Knatural course! I was looking for something new and long to wear in the new year and like I said in the video I was researching and looking for a hair texture similar to my own. You all know I was a big fan of Halley’s curls salon relaxed texture, right?? It had the qualities that I love: thick texture think my own hair, low luster “non wig like appearance”, looked so natural and the price was so affordable!! However, I don’t know what happened to the business of Halley’s curls. Seems like the customer service went downhill and you could not even place an order toward the last few months of 2013. So I am sure like most of you had to move on and try something new too! I love the results in the knatural state and I love it in the flat ironed/curled look too!! This texture did not take too long to straighten and it also curls really easily too!! I love the results of the coloring too!! Believe me I am not a hair stylist by any nature, but I love what I did!! And.. I have received so many positive compliments on this hair!! Yay!! Now.. my natural hair is relaxed so I had to flat iron it in order to match the texture of hair to my relaxed texture. If you are a natural haired diva you will LOVE this texture for it will blend perfectly with your beautiful natural locks!! You may ask me..Does it, frizz?? Like any hair when the weather is like it is right now, cold & dry, it will frizz or have a little static, but not to the point of severe tangling and matting like other hair textures I have experienced. Does the hair shed?? Well..If you do not cut the wefts you will be fine! If you decide to cut the wefts I recommend to seal your wefts. Because when cutting the wefts you weaken the hair and make it more likely to shed. So if you follow that advice then you will be in love with you hair. Also regular maintenance will also take care of the hair too!! Now please remember that this is only my initial review for I only have had this hair installed for 4 days! I will come back for another review of how this hair maintains for a month!! Until then.. please enjoy my video review below and don’t for get to rate, comment and subscribe to my channel nhop76! Hey beauties!! Did you all hear all the buzz about Beyonce’s latest hair decision?? Well…if you haven’t she decided to change things up a bit with her hair! I know everyone is so used to seeing her long and flowing honey blonde hair, right? Well, it was announced to the world on instagram that she decided to cut her hair into this cute pixie cute style, Click here to see her new hairdo! Click here to see my blog post on how I achieved this color. What I liked about this hair is its ability to go from wearing it straight one day and adding water and curling cream to go wavy the next day. Like I mentioned in my video review this hair is perfect for women that are busy and next hair that is flexible with their lifestyle. It is easy to wash and care for!! 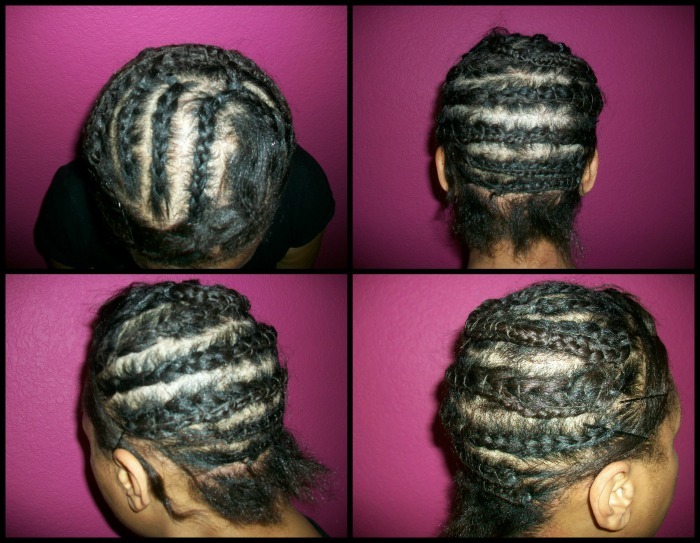 No Tangling or Matting at all, love it. Easy to care for and maintain over time. This hair goes for straight to wavy with in minutes of adding water and your favorite curl cream. Lifting the color of the hair for lighter color process. Overall, I really LOVE this hair and would purchase it in the future, and I would definitely recommend for you to try this hair for yourself to see how great this hair really is. Now, next…. I would love to try her body straight just to see the differences between the two! If you would like for me to review the other texture please let me know and I will see what I can do for this fall since I am thinking I would like to have long flowing hair again. Hello Beauties! It is getting closer to the big Valentine’s day! Are you all ready? What are you going to be doing on that day? I am hoping to go on a long awaited date with hubby (fingers crossed, for a baby sitter for my young chameleon). Well. . Have you all watched my latest Valentine’s day makeup tutorial video? If so, I sported some fun and flirty curls that many of you enjoyed and wanted to know how I created them. So, in this video below I will show how I created them with I tool I picked up from Sally Beauty Supply store. I hope that you all enjoy this tutorial and try them for yourself on Valentine’s day or any day you are feeling glamorous! Hello my beauties, this post is for my divas that love to rock hair extensions like me, and you have been dying to know what my thoughts are on the buzz worthy hair extension from The Original Indian Hair Company. Back in September, I installed 2 bundles of the 18″-20″ Indian Wavy hair in Natural Dark brown. ($199 per bundle! Yes, this hair is expensive, but you will find out why it is worth the price later on.) I installed every single weft used since the hair texture is fine to medium. Now if you like to have a fuller/ thicker installation than what I have then I highly recommend purchasing 3 bundles of hair in order to achieve that. However, I was happy with 2 bundles. Initially, when I received the hair it had a curly appearance and smelled to fresh and clean without that chemical processed smell. I contacted the company to see if they recommend to wash it again prior to install and they said it was not needed since they was it 2 twice before it is finally shipped to the consumer. I thought that was great, but you all know me, I washed it anyway with my Oscar Blandi jasmine collection line of hair care products I purchased from Sephora. Now, if you have not have my initial review video of the hair click “here” to watch it on YouTube. Ok. . The review after wearing the hair for 8 weeks now I can finally share with you my thoughts. First this first, this hair was very easy to style 3 different ways while wearing it for the entire time span. I was able to wash and let it air dry into messy soft beach waves with little to no product at all. (I wished I took some photos of it) Secondly, this hair was very easy to curl and hold curls too, however I caution you. 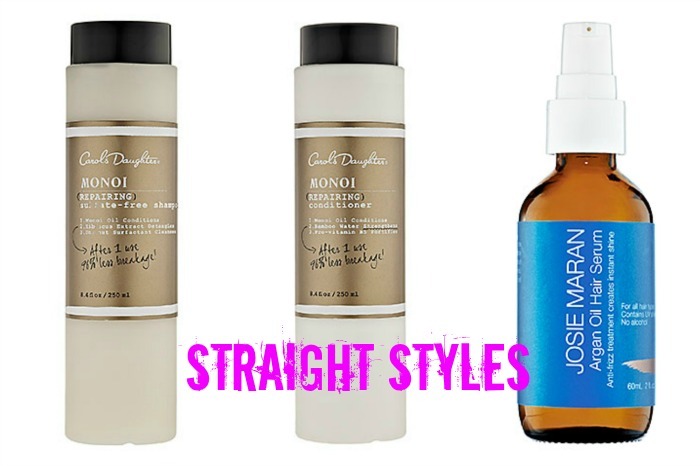 If you live in a hot, dry or humid climate like I do you will definitely have to use some type of holding spray to elongate the wear of the curls throughout your work day. Without the styling aid your curls will loosen up a bit and will not last all day long. Finally, as for straight styles, this hair flat ironed beautifully as you will see in the video below. Now, on to hair maintenance. You may be wondering what did I use on my hair and the Indian hair during the 8 weeks, and how often did I wash this hair, right? Well, washing my hair I wash it one to two times a week depending on how active my workouts were or how much styling product I used on the hair on any particular day. Here are some things to consider when it comes to how often you should was your hair and the installed hair. If you are exercising 3 times a week I would wash your hair twice a week due to the fact that natural oils and sweat can weight down your hair and cause it to tangle. If you heat style your hair daily and use lots of hair sprays and gels to hold your style on any given day I would wash it that night. You don’t wait to restyle your hair with all of the product left on it the day before. I feel you are asking for trouble like weighed down styles, tangling and breakage (shedding) due to excessive heat style and old product on it. If you are very kind to your hair and don use excessive amount of product on it or a lot of heat and you down exercise often then once a week is fine. The products I decided to use on my hair due to the climate and the frizzing I experienced are the Ojon damage reverse line of products you can find at Sephora and Ulta. Now don’t get me wrong the hair was not extremely frizzing, but the climate can increase the frizziness with any hair texture. Damage Reverse Instant Restorative Hair Serum to help combat frizz. I feel these product worked wonderfully with the indian hair and kept it under control. Everytime I washed it with the Ojon it felt wonderful, less frizzy and luster was beautiful. Now you don’t have to use the same things I used on it, but any hair care line that works against frizzing and dryness is a perfect match for this hair. Since this hair is expensive I wanted to use quality products on it. On to tangling, shedding or matting. If you take care of this hair like I mentioned above you will experience little to no tangling or shedding. While wearing this hair I did experience some shedding and I believe that had to do with me cutting the wefts for this install. However, the shedding was minimal. Tangling, there was very little tangling. The tangling I experience was just like any other hair extension I have worn in the past. When you are moving throughout the day the hair get little tangles, but nothing that my fingers could comb out gently. Matting, none! Now, would I purchase this hair in the future? Of course I would! I would have to save some $$$, but if I am getting ready for an extra fabulous event and I want nice quality hair I would. Also the hair is worth the price because you can definitely get your wearing’s worth out of this hair. I truly feel that this is one texture you can wearing over and over again. This hair is lightweight, luxurious and fun to wear in many different styles. Hey divas!! Are you ready for a fun beachy wavy hair tutorial? Well, in this tutorial I will be using my favorite hair texture from Halley's Curls called Virgin Malaysian Remy hair in order to create fast wavy hair in minutes! Yes, I mean in less than 20 minutes!! While I was getting ready for my trip to San Antonio with my family I decided I wanted beachy wavy hair and I wanted to share with you all my process and results! Heat Protectant Spray: I use Oscar Blandi's Protein di Jasmine – Protein Mist for Restyling Hair . Click the link if you are looking to try this out! 1 1/4 inch curling iron: I use CeramicTI(tm) Tourmaline Curling Iron by Helen of Troy from Ulta. Garnier Fructis Sleek & Shine Anti-Humidity Hairspray . You can find this at any drug store other click the link to find where to purchase. Now, creating this style is super fun and easy, however, I would only recommend doing a style like this with heat occasionally. Why? Remember too much heat can damage your hair and your hair extensions too, so keep styles like this as a special treat during the work week. Today I am finally giving you all a review of maybe my favorite texture from halley’s curls which is the Halley’s curls virgin Malaysian hair. I have been wearing this hair for 6 weeks and now I am ready to give you my honest review and tell you personal experience with maybe my favorite hair texture from them. I have installed 2 packs of the 16 inch hair that sells for $103 per pack. Now I recommend is you like a thicker install you may want to install 2 ½ packs of hair. Now as far as a closure you can purchase them from Halley’s curls however, I am not using a closure on my hair. I have my natural hair exposed on top and around my hairline too! Because I personally like to feel my hair breath a little on top if you know what I mean. You may ask how do you care for the Halley's Curls Virgin Malaysian Hair? Halley’s Curls recommends to Shampoo hair at least once a week with a product compatible with the hair texture. Do not massage or rub the hair against itself. Wash in a downward motion in order to avoid tangling. Apply a moisturizing conditioner, wait at least 3 minutes. Gently towel dry hair. Apply a leave – in conditioner to hair. Gently comb hair with a wide tooth comb. Do not use oily or greasy products; it can cause extreme tangling to the hair. Sleep with a satin cap or on a satin covered pillow in order to avoid friction and tangling. Products I Use on My Hair? I currently use Oscar Blandi’s Shampoo di Jasmine – Smoothing Shampoo & Smoothing Conditioner and for my leave in I use either Carol’s Daughter Black Vanilla spray or Bead Head leave in Conditioner. To moisturize my hair I use Carol's Daughter Hair Balm on my hairline & exposed hair on top. And for styles I want curls to last I will use sparingly is the Garnier Fructis Style Volumizing Anti-Humidity Hairspray, Extra Strong 3 with natural bamboo extract. I like this one because it does not make my hair fell sticky or hold and it makes my curls last all day with this high humidity this summer. 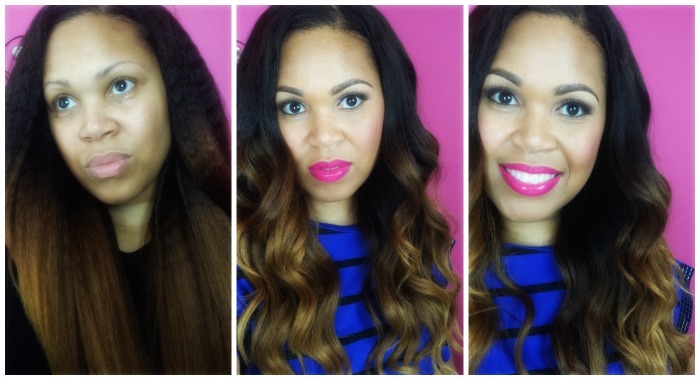 Was Styling The Virgin Malaysian Remy Hair Easy? This hair styling very easy! I am not kidding. Once day I decided to create some beachy waves in my hair so I decided to give it a try. And if you follow me on my facebook fan page you already got a sneak peak of how the hair style turned out! This hair takes curls so fast! I was so impressed and the curl time was less than 25 minutes. And the curls lasted 8 hour for me with little dropping of curls, which is awesome! This hair texture was also very easy to flat iron too! So the versatility of fabulous!! Was There Any Tangling or Shedding With This Texture? Tangling. . .What tangling? It was such a treat to not experience any tangling. I am surprised! Even in the 6th week no tangling!! With the other textures about 6 weeks you will see a little tangling, but again nothing major. And, I am referring to the Salon relaxed and the Gentle Wave relaxed hair. Shedding. . OMG! While working with this hair I noticed my bathroom floor was not accumulating hair on the floor and no complaining from hubby about hair on the floor. The other texture shedding, but very little. This one on the other hand little in none, so that was a plus! My overall thought on this hair is that this is a great texture and I would recommend it however if you have natural none relaxed hair this texture may not blend well. So, I would recommend in this case the salon relaxed hair. If you have relaxed hair this texture is great!! The hair itself is smooth soft and lightweight on your hair. It is easy to care for and reuse. I am really in love this texture even though I am transitioning my hair from relaxed to natural. Yes I am 8 weeks out from relaxing my hair. I am really REALLY trying transition my hair again. With that said I will use a flat iron minimally to keep the texture to blend. Unless you beauties have so suggestions for me send them my way. Anyway. . I hope that you all enjoyed my review of the Halley’s Curls Virgin Malaysian Remy Hair and if you would like to try this hair texture yourself visit the ladies over at www.Halleyscurls.com and also follow them on twitter at @halleyscurls. Until the next video you all take care Bye!